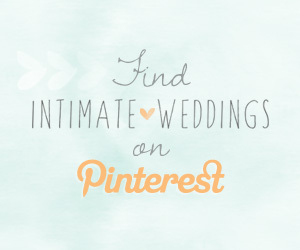 Having a barn wedding? 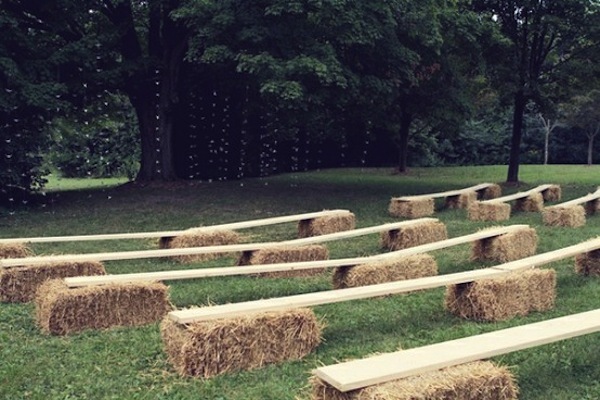 Looking for barn ceremony ideas? 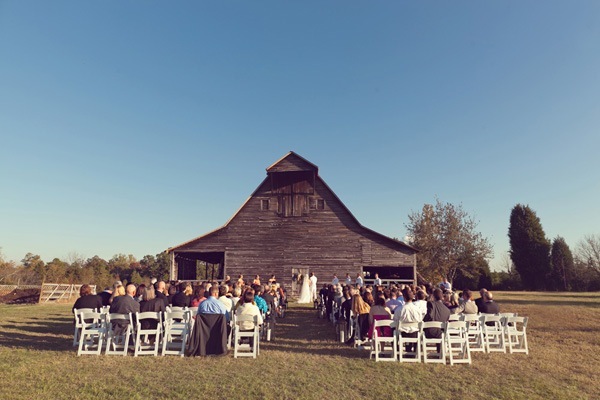 When you get married at a barn wedding venue you will often have the option of an indoor or outdoor wedding ceremony. 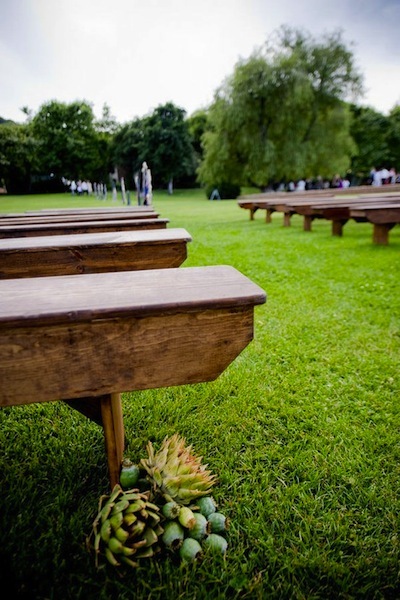 The seating options you chose will help determine what style you want to have and how rustic you want your wedding to be. 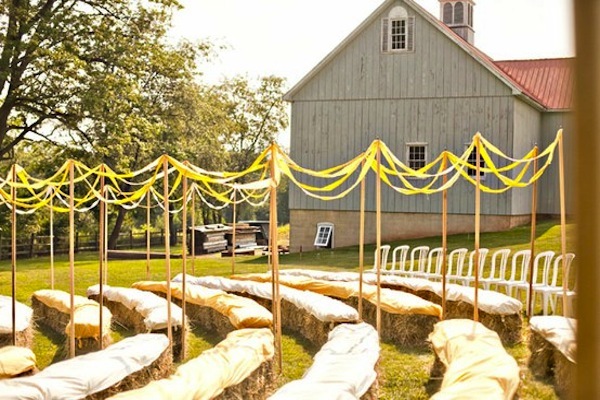 If you want your ceremony to have a rustic feel in keeping with the barn then one fun seating option is to have blanket or sheet covered (so guests don’t get poked) hay bales as ceremony seating. 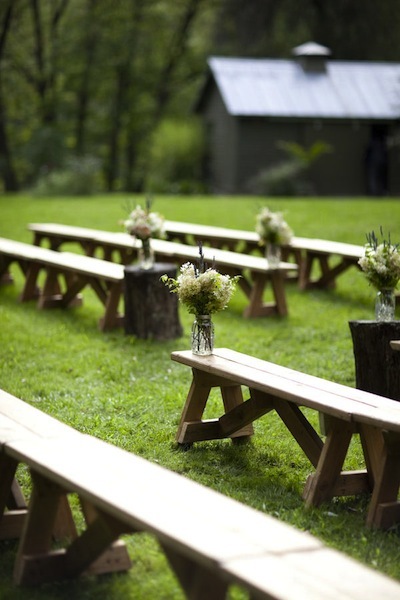 Benches are another seating option perfect for barn weddings. Or, you could even do a hybrid of the two! 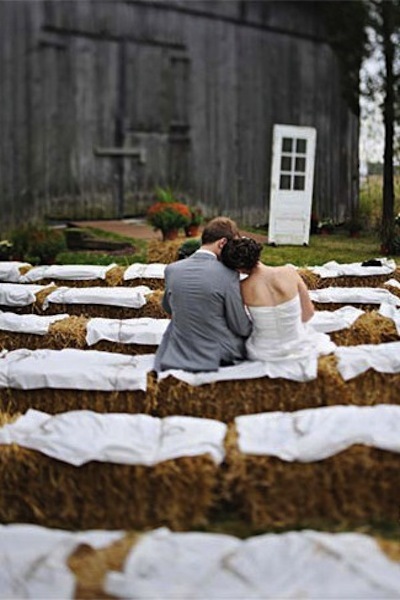 The positioning of your seating outside for the ceremony can accent the barn. 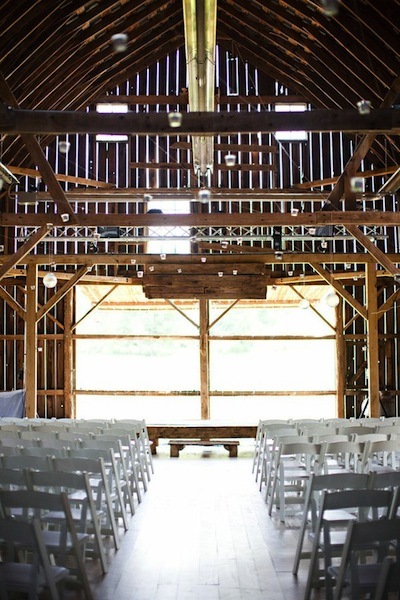 You could get married in front of the barn, using it as a backdrop, or to the side. 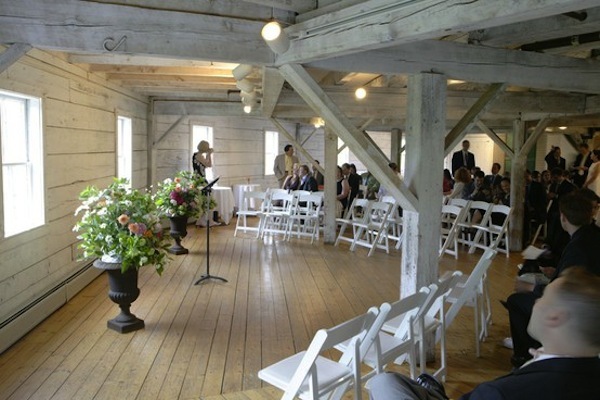 Or you could use the barn to walk through to lead out to the back where there ceremony is taking place. It’s not a distraction that way either. 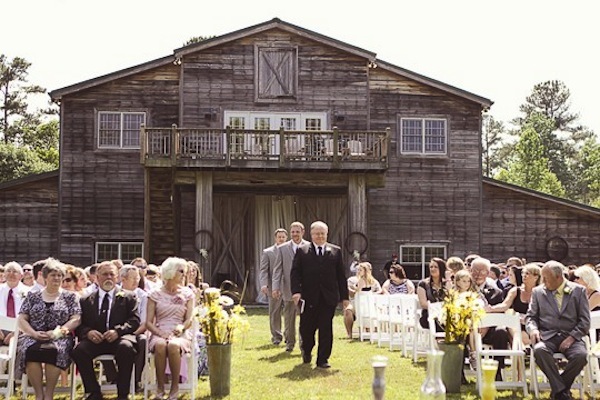 You can of course get married inside the barn as well! 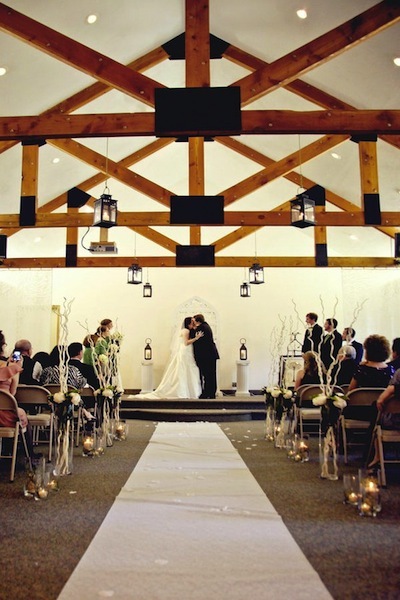 You could position the ceremony in front of the door or a big window to have an ethereal glow coming in behind you. It’s amazing to see how much of a difference flowers, draping and modern chairs make to change the feel from a “rustic barn wedding” to a modern feeling one. Getting married against the back wall of a barn can be gorgeous too. I especially love the strung lights. 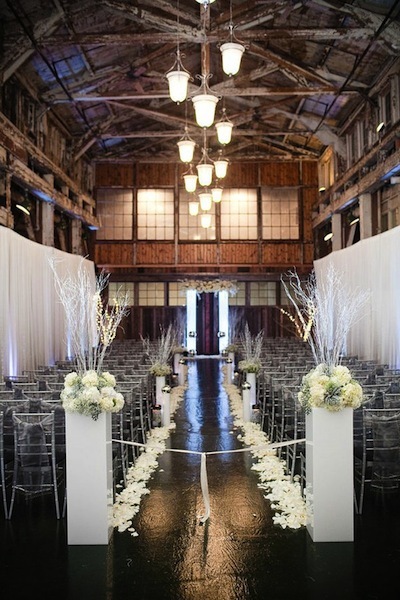 When getting married in a building that is as architecturally interesting as a barn, it’s important to highlight the space and its unique details. 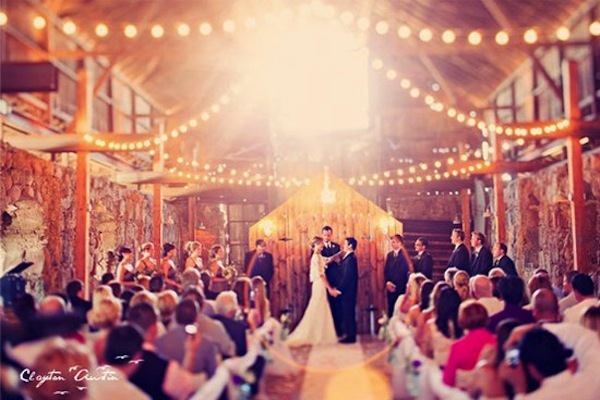 As you can see, there are many styles of barn wedding ceremonies – from all-out glam to rustic chic. 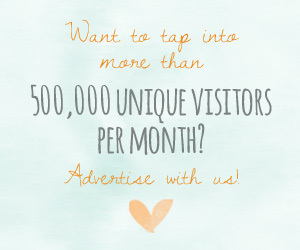 The look is entirely up to you!